Last week’s Digital Hollywood Spring event at the Ritz Carlton in Marina Del Rey featured a new track: a three-day Virtual & Augmented Reality Summit. Panels and sessions covered a wide range of topics — including cameras, software solutions, sound design, workflow, file management, and more — and demonstrated just how rapidly this new art form is evolving. GoPro’s acquisition of multi-GoPro spherical stitching software company Kolor was the big news. 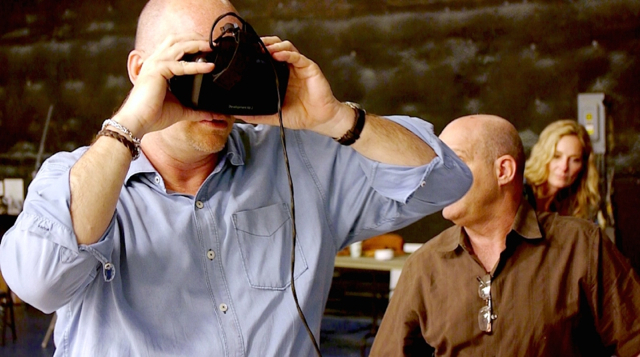 At the same time, VR producers say they are looking for better camera and stitching solutions. The really low-end Ricoh 360 camera ($297 on Amazon) got mentioned often on the panels as an entry device for experimentation. Meanwhile, GoPro’s acquisition of Kolor, with its AutoPano stitching software, should result in stitching software improvements for low-end GoPro VR shoots. Specular Theory, a VR production company, is using cameras with 180-degree lenses to minimize the stitching problem. Encouraging actors to stay away from the stitch lanes and to not come too close to the cameras is another way to minimize stitching workload and impact. Christina Heller, co-founder and CEO of VR Playhouse, said that cameras and shooting are 25 percent of live VR production while post-production, including stitching the images from multiple cameras, is 75 percent of the time and work. Spend your money on computers and hard drives to process and store all the data, she said. You can rent the latest and most appropriate cameras and lenses from companies like Radiant Image. And file management is a huge production issue. On the live-action capture side of VR, Aaron Thomen, who has shot NFL and NBA VR experiences with Two Bit Circus, said that fast camera motion is fine in VR as long as it is either smooth and serpentine without spin, or the viewer is sitting in a motion chair so their body moves with the camera. Lucas Wilson of Supersphere Productions discussed how he shoots major sports events. He uses five 6K RED Dragons; one with a rectilinear lens capturing the primary area of interest for high resolution, and four with fisheye lenses capturing left, right, rear and up. Stitching them together into a continuous sphere, he said, is “interesting.” Everything in 3D VR now is a science project, he suggested. Getting the stereo and the parallax at the seams correct is very difficult. I had the opportunity to discuss the difference between VR and AR, the concepts of emergent narrative and custom memories, and business model considerations, including niche markets and the minimum viable VR experience. Andy Cochrane discussed how Mirada used its VR production pipeline to develop a virtual tour of a virtual Google store, integrating live actors with CGI environments. A video of that experience can be seen at the AWN site. David Marlett (below), the VR filmmaker at Cinemersia, is working on “MansLaughter,” a VR film shot in four 90-degree quadrants. The four quadrants will playback simultaneously with coordinated overlapping dialog and choreographed action, similar to the “Sleep No More” and “Tamara” theatrical experiences. Kara Fry, an actress in “MansLaughter,” said acting in VR is smoother than movie acting because you are playing to the moment in 14-minute scenes without cuts. It differs from theater acting in that you perform as if the cameras aren’t there, but you block the scene around the camera location points rather than a fourth wall. Marlett added that the set designer has to get all of the details right because the audience can linger. He had to stock his gun shop set with real guns marked tagged with reasonable prices. Chanel Summers, who teaches sound design at USC School of Cinematic Arts, pointed out that aesthetics can overpower technical errors. If the story is told well, sound design errors or shortcomings will be ignored. Nonny de la Pena’s sound design in her VR journalism pieces doesn’t vary as you walk around the environment, Summers noted, but the experience is still extremely powerful. Having said that, she enjoys developing sound designs that shift as the viewer moves through the space. Chanel is currently working on a safe free-range (e.g. walking around) VR experience. She is also working with SCA’s Alex McDowell on the “Leviathan” project. Regarding the expense of HMDs and VR peripherals, LOOT Entertainment’s Danilo Moura pointed out that serious gamers are not shy about paying $60 for a game. They will spend serious money for the promise of a quality experience. 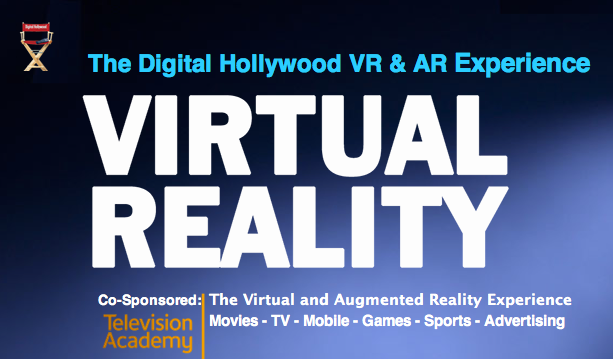 Overall, the VR panels at Digital Hollywood covered a compelling range of topics. We plan to invite many of the panelists to future ETC VR/AR-related workshops and events.